Iowa’s finest golf experience can be found at the Des Moines Golf and Country Club. The 36 holes (North and South courses) are original Pete Dye designs, and consistently appear highly ranked in the annual Golf Digest state rankings. Both courses were renovated from 2013-2016 under the supervision of Mr. Dye and his associate, Tim Liddy. 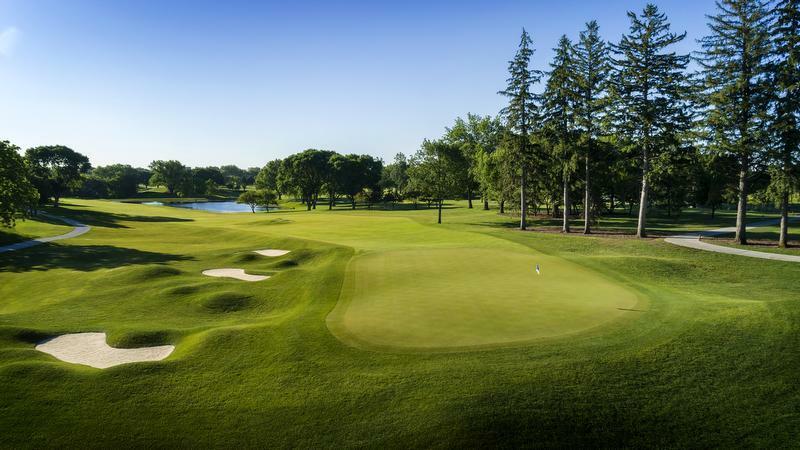 Des Moines Golf and Country Club, home of the 2017 Solheim Cup and 1999 USGA Senior Open provides a level of service with a golfing experience that is unequaled in the State! Golfers can choose from two different shot-gun start times: 7:30 am or 1:00 pm and play in either a Gross or Handicap Index division. What's Included? Top 3 finishing teams from both shotguns and both divisions (12 teams total) are invited to compete in the National Finals held at the famed Pebble Beach Resorts in January 2020. Each shot-gun started is followed by an awards ceremony honoring the top teams. For morning golfers, a light breakfast will be included and lunch. For afternoon golfers, lunch and light appetizers will be included. Each golfer will also receive one complimentary drink ticket. 12:30 PM Ball Drop on the course. If you participate in this raffle, you will receive a ball number. All balls will be dropped on the course, and whichever number lands closest to the hole will win a 2 night, 3 day trip with airfare to the Phoenician in Scottsdale, AZ. Choose from two shotgun start times, 7:30 am or 1:00 pm. To volunteer, please email hayley.bookey@kidney.org or call 515.518.5160.